As more states legalize marijuana, state and federal agencies are struggling to work together coherently. So, what’s a state with lax gun laws and legalized pot to do? US Senator Lisa Murkowski (R-Alaska) is calling upon the US Attorney General to help. Alaska is known for its bare-bones gun laws. In a state where concealed carry doesn’t even require a permit, not only do the locals enjoy hunting culture, but Americans who visit from all over do as well. As many as 60 percent of Alaskans are gun owners, according to the Violence Policy Center, a gun control advocacy group. However, a 2011 directive from the federal Bureau of Alcohol, Tobacco, Firearms, and Explosives (ATF) means that even in Alaska there are some heavy restrictions. 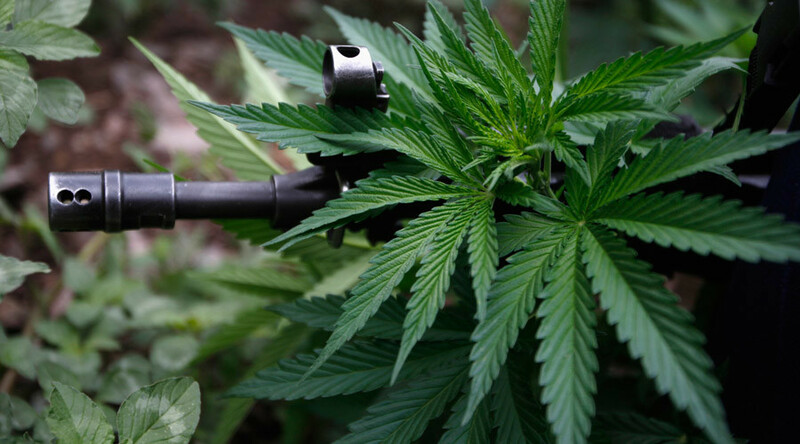 The ATF’s standing policy bars all firearms dealers from selling to marijuana users – medicinal or otherwise. Although marijuana is legal in several states, it is still considered a controlled substance by the federal government. In addition, the ATF also goes a step further, saying that it is “unlawful for any power to sell or otherwise dispose of any firearm or ammunition to any person knowing or having reasonable cause to believe that such person is an unlawful user of or addicted to a controlled substance.” The emphasis is from the ATF. This leaves citizens who wish to exercise their Second Amendment rights in a tricky position if they also wish to legally, as per state law, engage in marijuana consumption. Marsh told RT that over 100,000 Alaskans received hunting permits for the 2015 season. That is a little more than 13 percent of the state’s population, not far from the number of Alaskans reported to have used marijuana in 2014, according to the Washington Post. Consequently, the ATF has put citizens who fall into the middle of that Venn diagram in a bad position. If they inform federal firearms dealers that they are legally using marijuana, they cannot purchase a gun. If they lie about it and get caught, they risk spending up to five years in prison for committing a federal felony. They aren’t the only ones at risk; the gun dealer is as well. Montana was not successful in its bid to convince the ATF to revise their open letter, however. In the meantime, several states have passed their own laws in an attempt to get around the Department of Justice. Unfortunately for Alaska, Murkowski has yet to hear back.